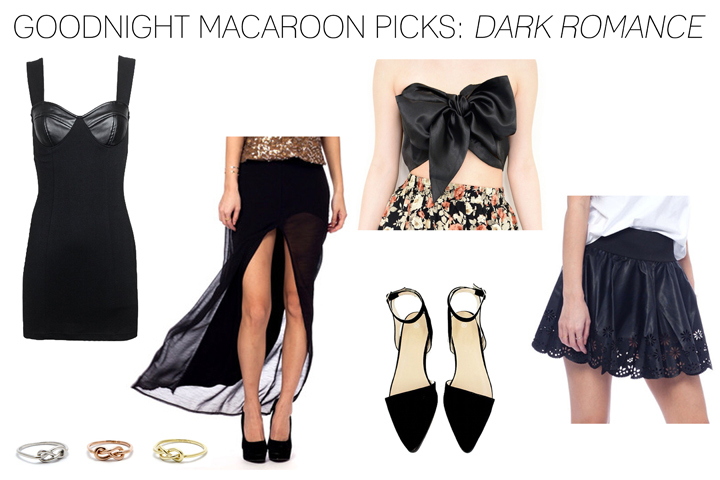 It's been pouring rain this week so I haven't been able to shoot any looks sadly, but I wanted to update my blog tonight so here's some of my favorite picks from Goodnight Macaroon! I kept this particular wishlist within a black color palette and chose pieces with romantic elements such as the chiffon, lace detailing, and bow top, while also choosing pieces that had harder, edgier elements such as the faux leather in the bodycon dress and skirt. I picked the pointy-toed flats and the infinity rings to style myself, as I have been looking for a nice pair of black minimalist sandals but I only ever see the ones from Zara, and I am trying to avoid wearing shoes with heels that are too high! I'm quite happy to have found these ones! 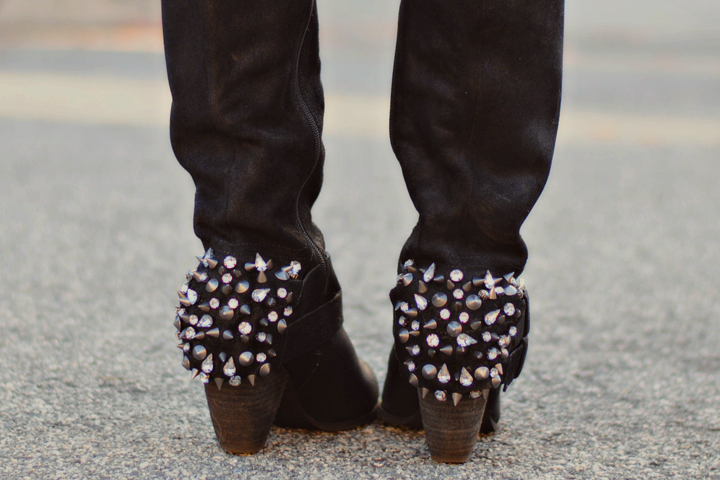 :) I really like the way that certain heels look when paired with cut-off shorts! I picked these rings as I thought they would be nice timeless (ha get it, cause they are infinity rings) accents and they actually had my ring size (this never happens because I am a size 5 and only ever see the smallest ring sizes in stores at size 6)!!! 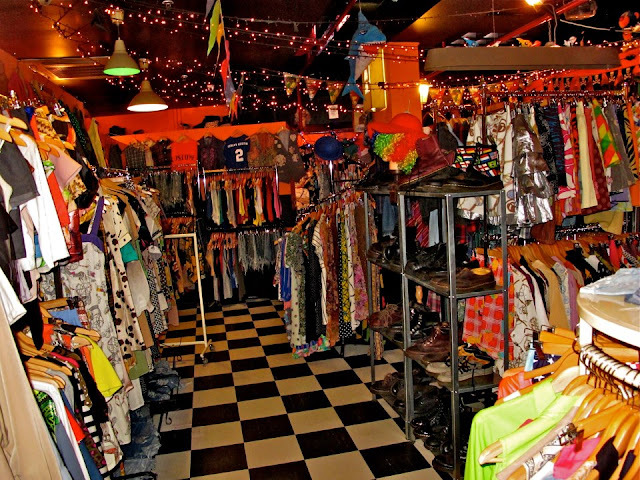 There is also going to be a Christmas Sale next week starting December 1st through the 9th, so if you plan on buying something, you can get up to 50% off then! Also, which piece is your personal favorite? :) Mine are definitely the flats! For this look, I decided to go with a primary color palette, but one with deeper, jewel tones! 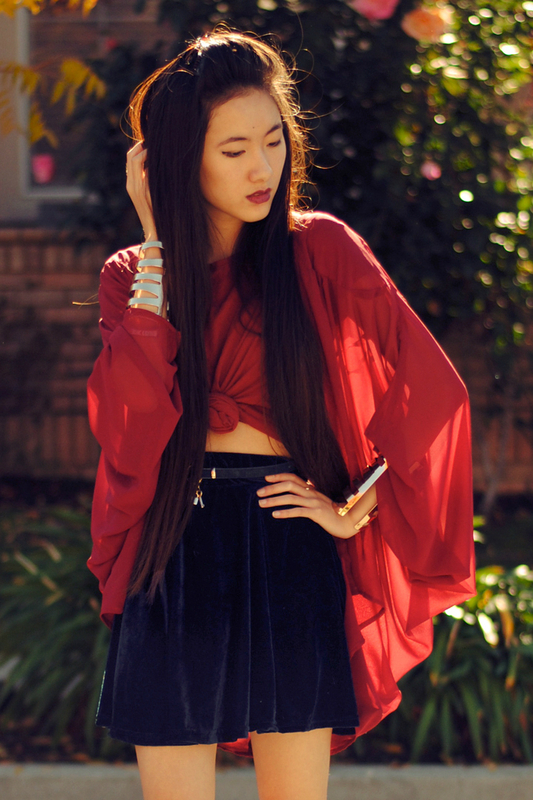 I wanted to do an empress inspired look to compliment the opulence that we associate jewels with, so I chose pieces with richer and more luxurious fabrics like my new velvet skirt from Oasap, and my cape-like chiffon blouse that I've worn as a cardigan here! It's rainy/cloudy the rest of the week so I'm upset I might not be able to post more looks until next Monday, and I also lost my favorite cat eye sunglasses too! Those were the only sunglasses I actually wore consistently too ;-; They're a real lifesaver for people who don't photograph well in overcast lighting. But did you guys also know that 80% of skin aging is actually caused by UV ray exposure?! I didn't know that was how badly the UV rays affected our skin so I imagine that some of you might not have known that either. Sunglasses with UV protection can block up to 100% of UV rays, and just using as SPF 30 sunscreen blocks 97% of UV rays. If you can do something as cheap and easy as using sunglasses and sunscreen to protect your skin when you are young, why wouldn't you? It sure beats being a victim or premature aging and paying lots of money down the line to get rid of your wrinkles! 2. Brown Ombre Eyeglasses - These are actually the frames I have myself! I love the shape and the disappearing effect of the ombre gradient. 4. Minty Lennons - These are such a pretty hue! 7. Psychedelic Lennons - Obsessed with the triangle color block on the lenses! Loki is my second favorite character in The Avengers (yes, Iron Man is obviously my first favorite) and I have been meaning to do a Loki-inspired look for the longest time!!! But sadly, I didn't even own anything dark green until I picked out this sweater from Oasap. I wasn't planning on styling the sweater this way but I usually end up playing around with my outfits as I put them together until something clicks! 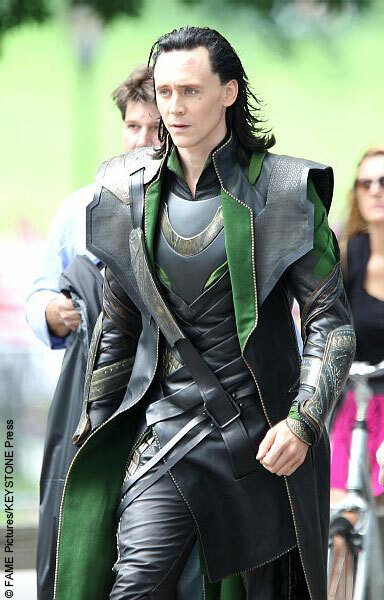 Not only did I have a gold collar necklace that mirrored the gold detailing on the chestpiece, but I had this double buckle belt and motorcycle vest which also looked similar to the hardware and leather elements in Loki's costume! I guess I had more Loki-inspired pieces in my closet than I had previously thought :P This top actually had a rounder neckline but I find that collar necklaces look really good when paired with v-necks so I used a small safety pin to pin up the neckline. 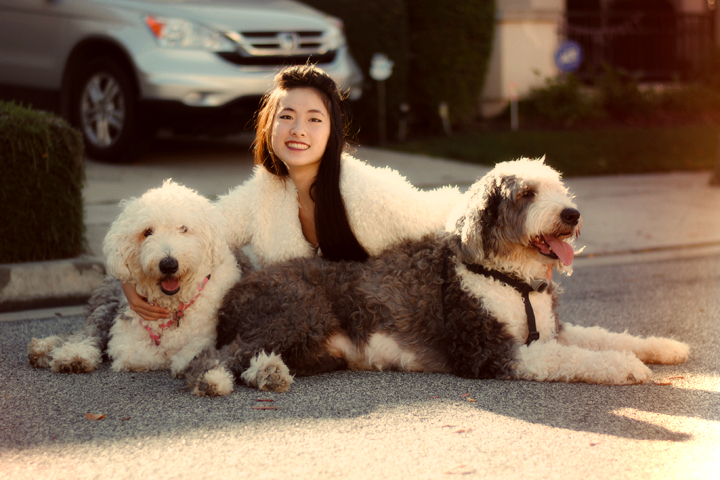 My dogs mean the world to me and I'm so happy to have some photos of me with them to share with you this Thanksgiving!! 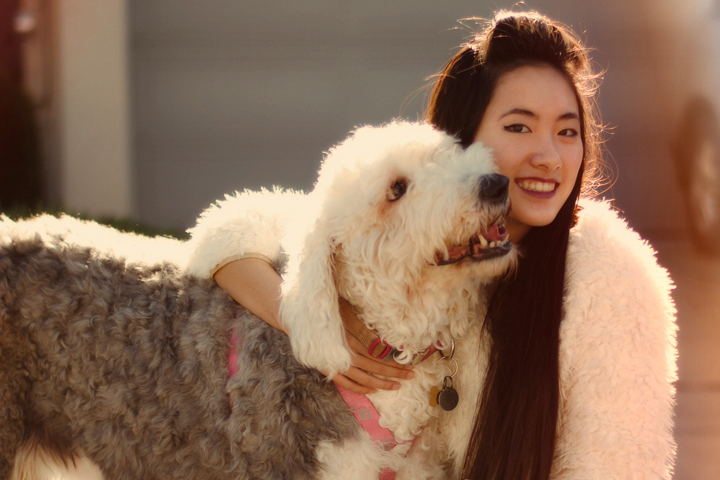 I've been wanting to do a set of outfit photos with them forever, but anyone who has tried to take photos with their dogs will probably tell you that it's a lot tougher than it looks (especially when there's two big ones!). 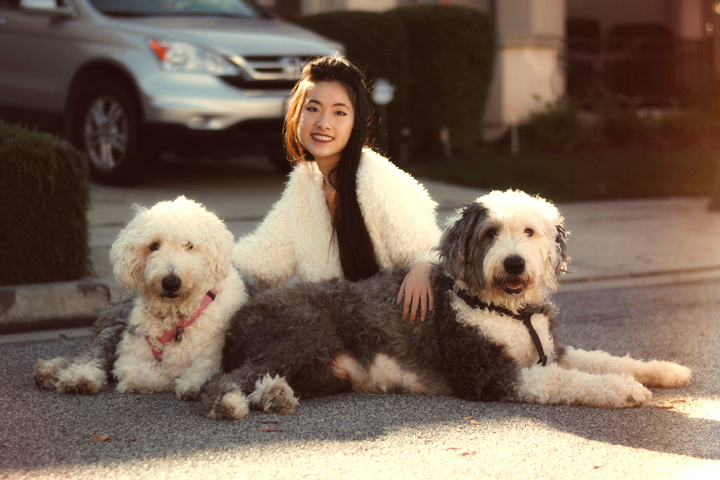 I also wanted to put together an outfit that would be fun and made me match with my dogs so when I did receive this faux fur jacket from Sugarlips a month ago, I had made a note in the back of my head to do a photoshoot in the future with it, as the fabric is an uncannily close match to the actual fur of my dogs. And yes, more smiling photos because there's no way I can not smile when I'm around these two! I definitely had a hard time narrowing photos down as you can see... so I just put all my favorites in because why not? 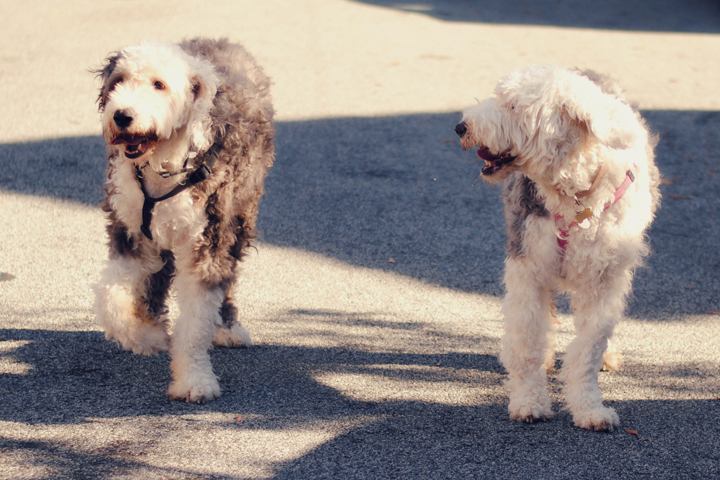 They are both Old English Sheepdogs, born from the same litter and will be turning 6 years old at the end of this year! 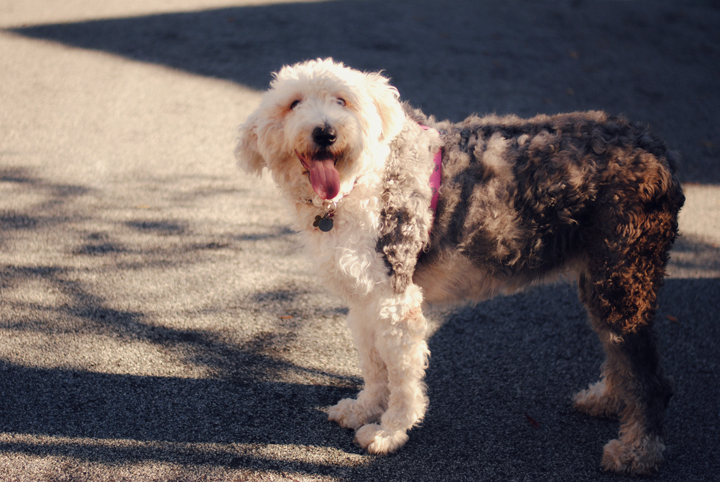 Dolly, the girl dog, and the one with a completely white face, loves attention and is rather loud, sassy, and playful. Charlie, the boy dog, and the one with the black spot on his eye, is a lot shyer, quiet, and extremely protective but he has a soft side too. 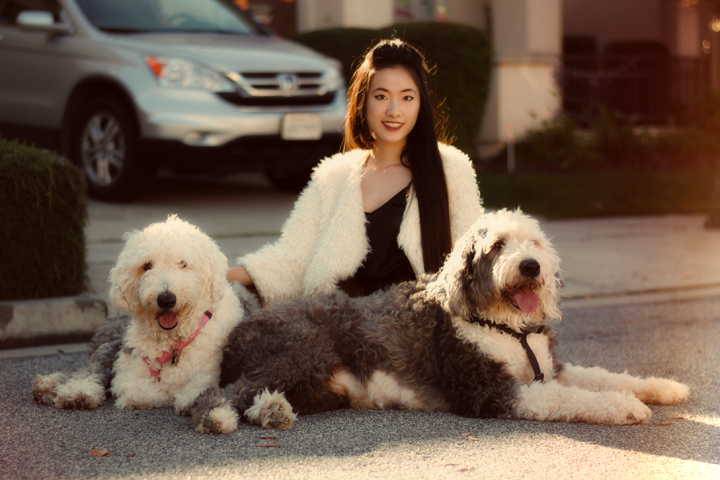 Besides my friends and my family (my dogs included but you know what I mean), I am so thankful and blessed to have Dolly and Charlie in my life! I love them so much and I would truly do anything for them! For this look, I decided to go with a Cowboy-inspired look because something about this top reminded me of the Old West. I borrowed my mom's vintage cowboy hat, and accented it with this skinny belt from Forever 21. To stay warm, I threw on what I call my ratty-Sherlock Holmes robe (See picture here) that I got from Wasteland. And I FINALLY GOT TO MEET KENDALL from Galore, Beneath the Stars! She was my first friend who I made on Lookbook and she's just an all around great and funny person from our conversations online, so I'm so happy that I finally got to meet her in person :D I'll share some photos in my next post! Hi guys! 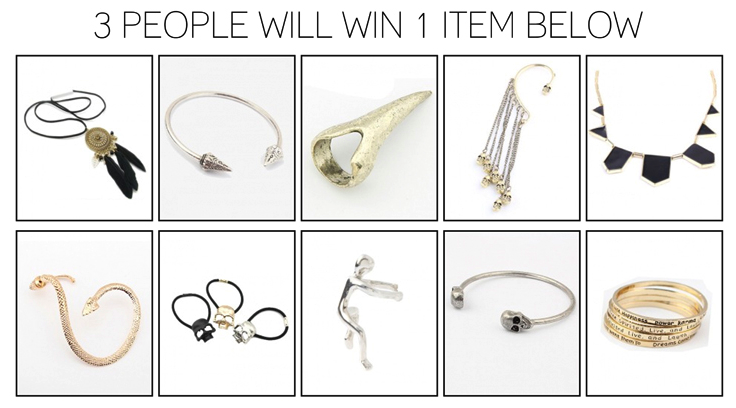 I have a new giveaway with Chicnova today! There will be 3 winners who will each win 1 item below :) This is a quick giveaway that is open internationally and will end tomorrow, which is Friday, November 16th at midnight. To enter, follow the instructions on the widget. Good luck to everyone! 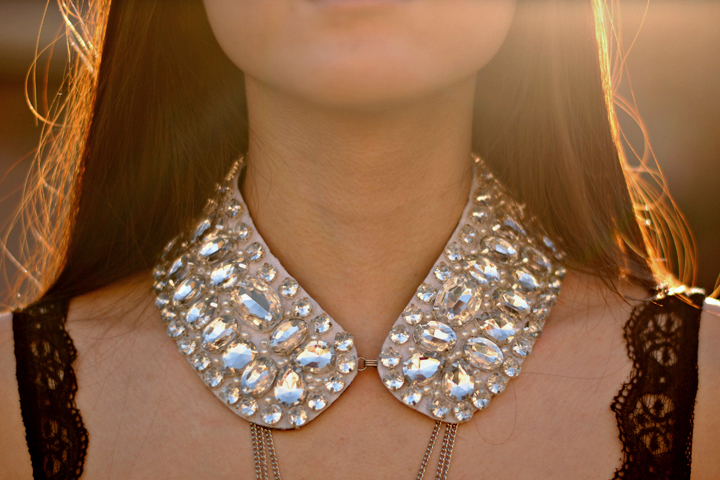 This collar from Chicnova is the fanciest one I've ever seen! The crystal bead embellishment is even more dazzling in person and I'd imagine it would look even more stunning for a formal event with a fancy updo. To match the silver tones of the collar, I layered my triple cross necklace underneath and then decided to stick with black for the rest of the outfit. I paired my lace bralette with my lace shorts, which was a perfect match that I'm glad I discovered from my closet, with this furry cardigan over it to stay warm. And lastly, my new 'Mix Master' boots from Naughty Monkey!!! They complimented the overall black color palette and silver accents so well. 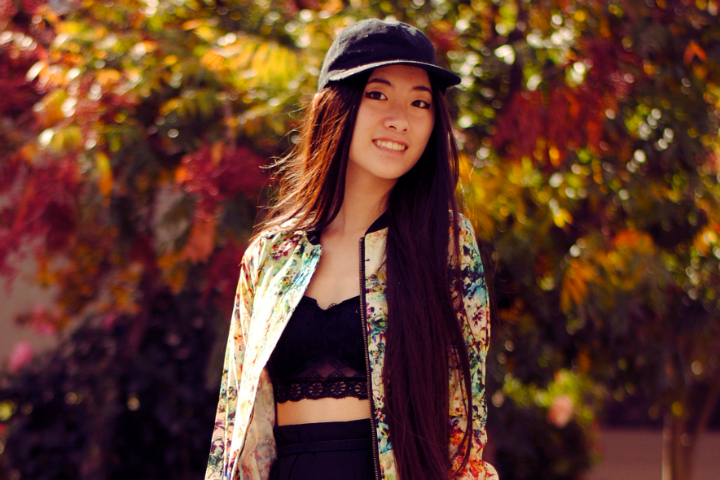 I also wanted to show you guys what I picked out for November from Romwe today! I've been loving crushed velvet as of late, and hot pink is my favorite color so I'm excited to do a possibly 80's and Material Girl inspired look with those leggings! I chose the cardigan because I don't have anything tribal print in my closet and also because it looked really good on my friend Ashlei, from Faltering Bird! :) The black pleather corset will be a good basic to have as well that will be easy to mix and match when I'm in a rush to get ready for school. And this burgundy pleather skirt complimented the corset so well and the color is different from most pleather items I've seen for sale at the mall so I had to get it too. If you want to buy any of them for yourself, there are links below! 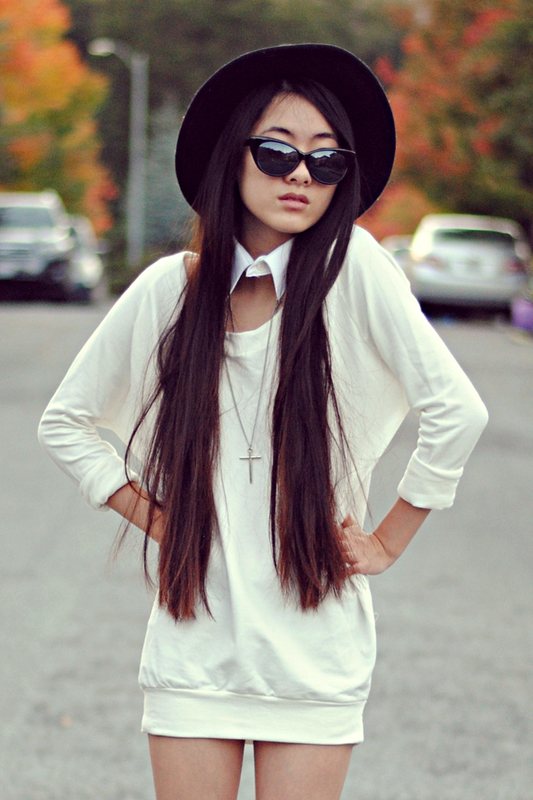 I normally don't wear stark white that often but I loved the cut of this sweatshirt dress too much! There was something very intriguing about the juxtaposition of the laziness of the sweatshirt combined with the elegance of the draped back. To make the neckline more interesting, I paired the dress with this collar that I cut off of one of my dad's old shirts. I wore silver jewelry to compliment the white and also realized that my new spike bracelet looked much cooler as an anklet! ;) I wish I had two though! They kind of remind me of those socks with the ruffled lace peeking out at the top! And of course, because of the time change and the sun going down much earlier in the winter, a tip for avoiding the shadows under your eyes effect is to simply throw on some sunglasses and a cute hat!